This Friday Slashleaks exposed that a Samsung’s Vietnamese subsidiary firm fortuitously unveiled the imminent smartphone devices. This leak included the Samsung foldable phone, supposed to be unveiled at the end of the month. Earlier, Samsung mistakenly uploaded a teaser video about the launch, but later on the same day it was brought down. According to the Slashleaks video, Samsung is all set to release its first folding smartphone along with its flagship next-generation smartphone, the Galaxy S10, Tab and tablet computer. Well, the folding mobile screens will be one of the big 2019 smartphone trends. SPEC’S OF GALAXY TAB TABLET COMPUTER. In the teaser video, they covered the all-screen tablet with a stylus at the beginning. The tech giant sells the S Pen stylus which works with its high-end phones and tablets. The Galaxy Tab tablet computer is quite large in size and thinner as compared to Apple’s latest 12.9-inch iPad Pro. While talking about Samsung’s current flagship tablet, the new tablet is bigger and wider, which clearly reflects that Samsung’s next high-end tablet may turn out to be a widescreen display. It might be bigger than 12-inch Galaxy Book2 which was a Windows 2-in-1 hybrid laptop and tablet. WHAT IS SAMSUNG’S FOLDABLE SMARTPHONE? In the video, there is a woman holding a smartphone and treating it just like a notebook. The smartphone is mechanically turning on the inner display and unfolds outwards. Samsung is going to be the first company to introduce a foldable smartphone in the market. Moreover, this phone will fold totally flat and there will be no ugly rubbery hinge in the middle of the screen. The company has exhibited a prototype of the foldable phone concept in the second half of 2018. However, the concept was alike to clamshell design, but the appearance was different at that time. Earlier it was shown as bulkier body and heavier but now it looks attractive. Well, the screen of the tablet will be large, so this mobile might need large batteries to power it up. There is a possibility that the company may use two batteries in the smartphone, each battery would have the capacity of 2,190mAh, which means total power of 4,380mAh. There are the chances that the company rolled out folding mobile with a 5G version in South Korea but then there is no certainty of international takeoff. Enthusiast can get their hands-on various colors like silver, green, blue and black. Earlier, the smartphone giant mentioned that the foldable device will be introduced in the specific countries in early 2019. 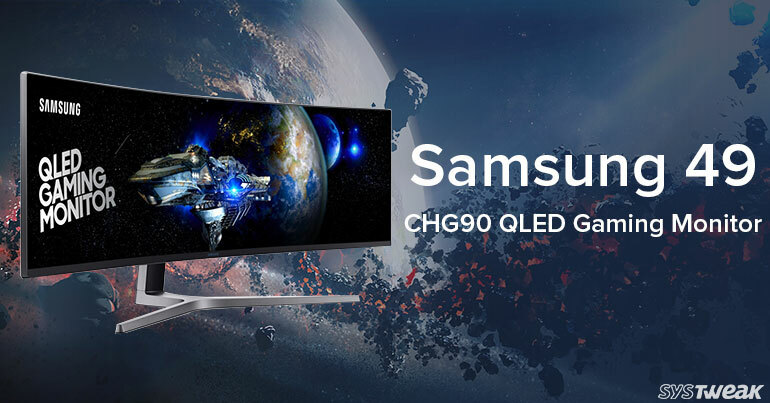 Now, as per the rumor, it might arrive in the market by the end of February 2019 at “Samsung’s Unpacked event”. WHAT YOU CAN GET IN GALAXY S10? 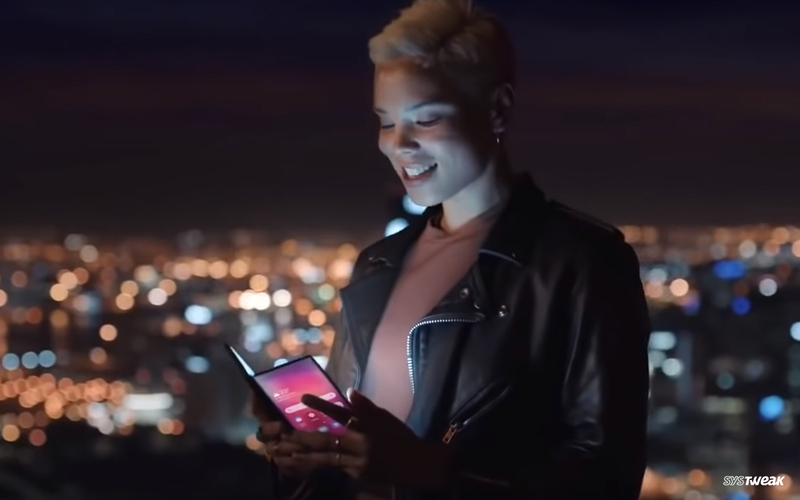 The video also includes the Samsung’s next-generation flagship mobile the Galaxy S10. the Galaxy S10 is going to make its debut at “Samsung’s Unpacked event” at the end of this month. According to the reports, it is an entry-level model (S10 Lite) that comes with an all-screen thin flat bezel screen that has no curved edges. The Galaxy S10 has a mainstream fingerprint reader and to capture photos, it has a dual rear camera.